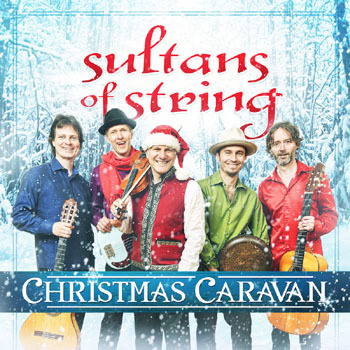 3x JUNO nominees/3x CFMA winning ambassadors of musical diversity Sultans of String have expanded the traditional notion of Christmas music with their new, genre-hopping disc, “Christmas Caravan”, injecting it with new-found energy and non-traditional sounds. Recorded and co-produced with JUNO Award winning engineer John ‘ Beetle’ Bailey, this isn’t your typical holiday album. You may recognize a few titles, but you’ve never experienced seasonal music quite like this before. 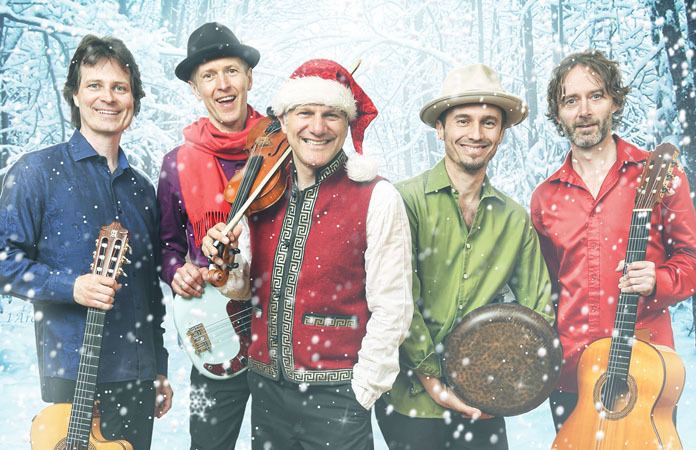 First, the band made a dream list of their favourite vocal artists to join in on this musical sleigh ride. Their holiday wish came true with 6x Grammy winning Paddy Moloney (The Chieftains), Rubén Blades & Luba Mason (Panamanian 7 Grammy and 5 Latin Grammy Award winner), platinum-selling jazz vocalist Nikki Yanofsky, 2x JUNO/Grammy Winner Alex Cuba, Benoit Bourque of Quebec’s Bottine Souriante (3x JUNOs, 4x Gold, 3x Platinum records), Sweet Honey in the Rock (Grammy winning all-woman, African-American a cappella group), Cameroon’s Richard Bona (Paul Simon, Herbie Hancock), Canada’s singer to the stars Rebecca Campbell (Emmylou Harris, Alanis Morissette), singer Mary Fahl from NYC’s October Project, a recording collective of Turkish Roma violinists in Istanbul, Sudanese-Canadian singer Waleed Abdulhamid, Nashville-based JUNO Award winning country singer Crystal Shawanda, sitar virtuoso Anwar Khurshid, and hang drum player David Charrier from France.